Eve’s full bio, more info on Culinary Conversations and link to registration for the event is available at: https://www.meetup.com/Culinary-Conversations-Grand-Rapids/. 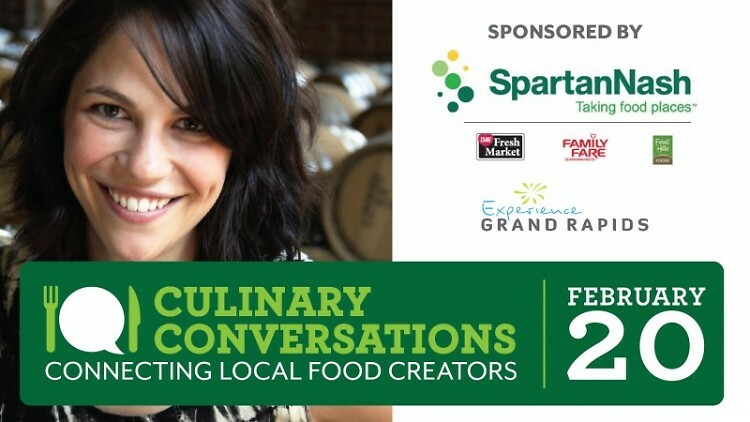 On February 20 at 5 p.m., the Grand Rapids Downtown Market will host the second “Culinary Conversations” Meetup, featuring speaker Eve Turow Paul. Author of “Generation Yum—Shaping The Future Of Food,” Turow Paul is a journalist and researcher known for studying youth culture and how different generations interact with our food system. She has spent nearly a decade writing about food culture and how 21st century innovations, pressures and people's wants and needs, specifically in Millennials and Generation Z, are reshaping the human food experience. Using psychology, sociology, anthropology and interviews with thought-leaders, Millennials and Gen Zers, Turow Paul examines the anxieties, hopes and passions that drive our obsession with food. At the Grand Rapids Downtown Market Meetup, she will share her insights on this global phenomenon and highlight how individuals soothe themselves and fulfill needs through food. Culinary Conversations is a peer-to-peer collaboration and networking group for West Michigan’s food industry professionals, including growers, producers, chefs, bartenders, restaurant owners, entrepreneurs and others, intended to strengthen Grand Rapids’ regional food system. Led by the Downtown Market, Culinary Conversations is a unique partnership between Start Garden, Grand Rapids Opportunities for Women (GROW) and Michigan State University Extension. Each monthly Meetup includes both networking and educational opportunities. The lead sponsor for February’s event is Spartan Nash and supporting sponsor is Experience Grand Rapids. Eve’s full bio, more info on Culinary Conversations and link to registration for the event is available at: https://www.meetup.com/Culinary-Conversations-Grand-Rapids/.